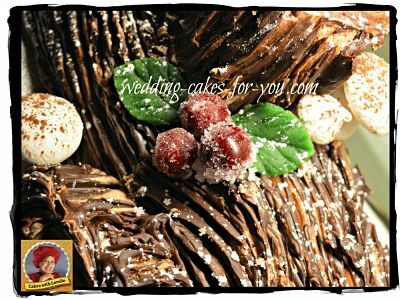 Looking for the best yule log cake recipe? It's right here. 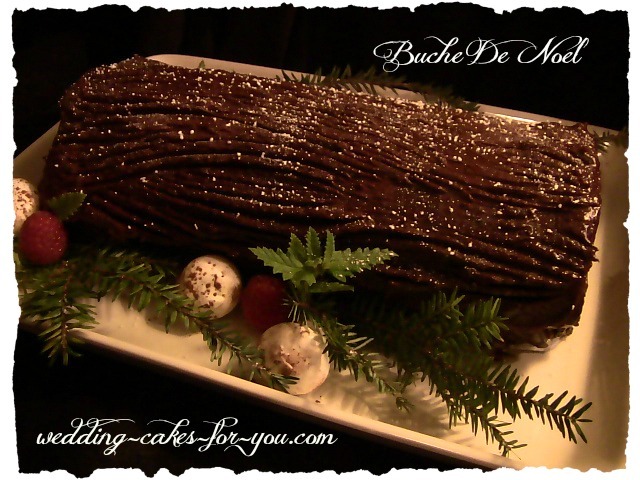 Buche De Noel is incredibly light and delicious. 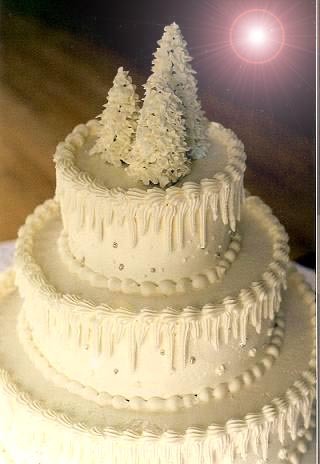 Christmas dessert recipes like this one are not so difficult to make and they will certainly impress your holiday guests. 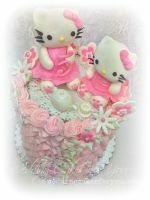 This is an all buttercream design. 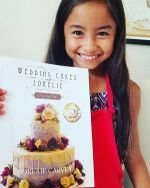 In the video you will see how to make a sponge cake, then fill, frost and decorate it. 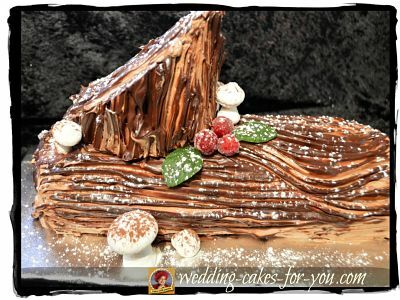 The video has instructions for making a Buche De Noel from start to finish. The full recipe and instructions are under the video on YouTube or right below on this page. 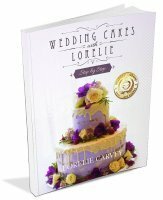 The video on how to make the meringue mushrooms and decorating the finished cake is at the bottom of the page here. Here are the written instructions on how to make this elegant dessert. The yule log cake recipe below is slightly different as it has the addition of 2 tablespoons of cornstarch which I now prefer. Waxed or parchment paper I use waxed and I also grease the pan first then lay the waxed paper on. Now grease the waxed paper and sift either cocoa or flour over that. 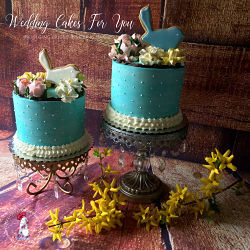 You really need to do this to make sure that your cake comes out easily. Prepare your pans first and then take a tea towel that is a little larger than your cake pan and place it on the counter. Sift cocoa over the towel. Beat egg yolks with 1/4 cup of the sugar until pale and thick and add the vanilla. Whisk the whites with the remaining 1/2 cup sugar. Fold 1/3 of the meringue (whites) into the yolk mixture then sift or sprinkle 1/3 of the dry over it and fold. Continue to do that until all the ingredients are folded together. This part does take some patience as the dry ingredients resist being incorporated. It will come together. Spread onto a baking sheet which has been lined with parchment paper. Bake for 15 minutes at 350 ( I used 340 ) then transfer to a wire rack to cool. 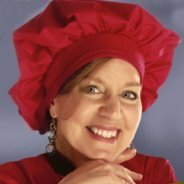 When you take your cake out of the oven immediately flip the pan over onto the towel to release the cake. 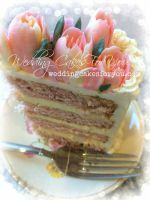 Immediately remove the waxed paper (carefully) and then if necessary trim the outer edges of the cake. The cake may not look pretty, but it will. Roll the cake in the towel and set aside to cool. Sweetened whipped cream, plain or with fruit or flavored with liqueur. The possibilities are endless. Experiment and find your favorite filling and frosting. 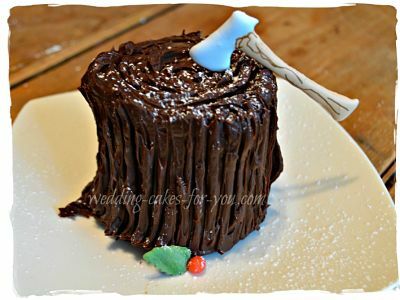 Below are two styles of the Yule log or Buche De Noel cake. The first is an elegant version with a dark chocolate ganache, served on a simple white platter with fresh greens and raspberries. The second is one I made from the previous year, which is displayed on a piece of varnished wood and is decorated with meringue mushrooms and marzipan leaves. You can decorate with meringue mushrooms as in the photo and sprinkle them with a little bit of cocoa right before serving. Sift over the cake with powdered sugar before serving too. This gives the illusion of a fresh snowfall. There are countless ways to decorate yours. Be creative. Look up ideas on pinterest, you will see the variety of ways to adorn your Christmas display. Beat egg whites and cream of tartar in a clean bowl. Beat on low until the whites are frothy. Turn mixer to medium and add the superfine sugar slowly. Continue beating until the whites are stiff and glossy. Sprinkle the cornstarch evenly over the top and beat for 30 seconds. Fill a pastry bag that has a large round tip with meringue and pipe out round shapes for the caps and tubes for the stems, onto a pan lined with parchment paper. Bake for 1-2 hours in a 225 degree oven.You want to dry them out not brown them. Once cooled you can scoop out a tiny divet under each cap fit the stems onto a divet and attach with a tiny bit of uncooked meringue. Store any left over mushrooms in an air tight container. 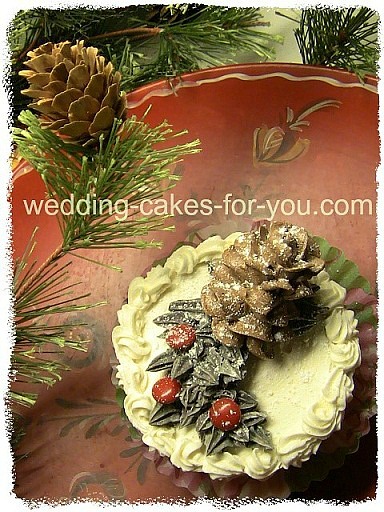 You can make little fondant leaves and berries like I did or use real holly around your Buche de Noel.